So when I went into this reread, I expected to mostly skim through the book because it’s one of my lesser favorites. 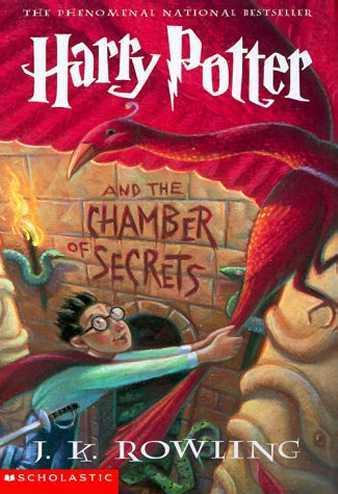 Turns out, this book captivated me far more than I expected, and far more than my reread of Sorcerer’s Stone just did. For some reason, I really enjoyed the book a lot more than usual this time around. I laughed at all the Gilderoy Lockhart sections and enjoyed watching Harry et al unravel the mystery. It was a very satisfying read. I’m so loving this reread project! And of course, I watched the movie afterwards. This is also one of my least favorite movies – except for Lockhart! – because vomiting slugs = visual eww. Other than that one scene, I enjoyed it, even all the over-acting sections and silly little exposition sections (love teenage Voldemort’s multiple monologues!). It’s fun to watch the actors grow up, both in physical age and in their acting skills. Also, movie-Snape = wonderful. I adore Alan Rickman so much. This entry was posted in 2014, Children's, Prose and tagged callback, comfort, Harry Potter, memorable, multi-read, reread, speculative. Bookmark the permalink.